Eaton partners with Pro-Visual Publishing to create Eaton Interactive, its own augmented reality (AR) app and experiences. Eaton brings it's products to life through AR, utilising the technology to digitally transport their Micro Data Centre to trade shows and client locations. The project is in partnership with Pro-Visual Publishing and is hosted by the Pro-Vis AR platform. From design and development to the launch of the interactive app, Eaton, with the assistance of Pro-Visual Publishing, has been able to produce an app that provides a practical and efficient solution to their needs. 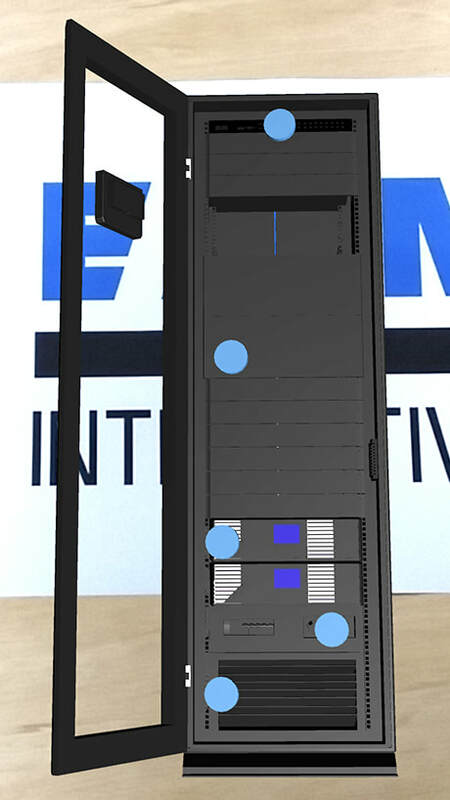 The EatonInteractive app brings Eaton's Micro Data Centre to life using Augmented Reality (AR). Users can access exciting content such as interactive 3D models, videos, and catalogues by hovering their device over the Eaton Interactive logo. Experiencing Eaton Interactive is easy. Using a mobile device or tablet, the Eaton Interactive app can be downloaded free on all major platforms, from the App Store or Google Play (Apple or Android). Once the app is downloaded, all the user needs to do is scan over the Eaton Interactive logo to experience the interactive (AR) content.